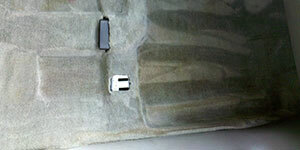 We pre treat the carpeted floors and mats for light stains. We then shampoo the floors mats with a hot water carpet cleaning machine. Interior purchase required. Additional for oversized or heavy soiled vehicles. 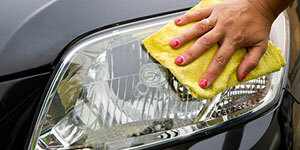 Hand waxing protects your vehicle’s paint and restores the showroom shine! 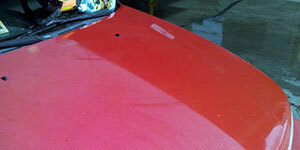 This service is excellent for clear-coat finishes! Requires wash purchase. 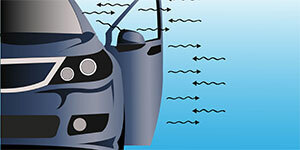 Additional for oversized or heavy soiled vehicles. 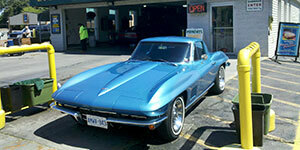 Tires are shined with a quality tire shine ! 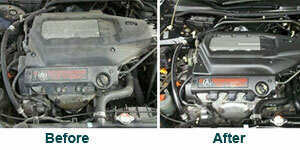 We will restore and Polish Auto Headlights, Clear your fogged or yellowed headlight lenses. Great service, got the full interior&exterior detail and was even offered to get a door ding taken care of as their bodywork/ding guy was there working on another car. (From the picture I was shown of what “before” looked like, the man is a master of his trade.) My truck never looked or smelled as clean even the day I picked it up from the dealership brand new from the factory! Definitely going back. 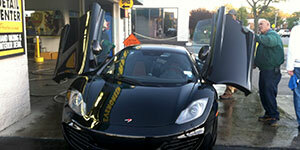 Great car wash. Have been going here for a couple of years due to a combination of price, convenience and service. Always get the Ultimate Car Wash. The workers usually do a quality, speedy job, save for a few times that the car wasn’t fully wiped down or a few spots were missed on the rims. In general though, there isn’t much of a wait and the whole process is pretty hassle-free. If my husband could, he would get the car washed everyday. In the winter, maybe twice a day. If you have the same illness, Evergreen may be for you. They allow you to come back again within one week for another spin at no charge. This place is awesome!! My fiancee and I brought our car here about 3 months ago, and they cleaned it so well that the leather seats still squeak a little when you sit down. Our car was way overdue for a cleaning, and they made it look almost brand new. It was easily worth the $70-80 we spent on it, considering it would have probably taken 4-5 hours of our time and we still couldn’t have cleaned it as well as they did. I will definitely be coming here again and again. Got both my daughter’s car the Ultimate Detail. Girls were thrilled! The cars came out great and my neighbors are commenting about what a great wax job they did on the cars. The cars look so much better inside and out. Easy to make an appointment and it is so convenient. There were some old stickers on the car which we requested they remove for us, you would never know they were ever on the car! 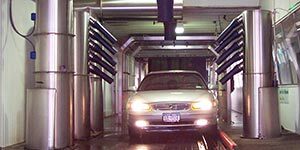 I am so glad that I got lucky and found Evergreen Carwash. I will go back and I will tell all my friends and family. Thanks for a job well done! Got my interiors and exteriors cleaned here, and ca’t be more satisfied. My car looks squeeky clean! Everyone here is also so friendly and welcoming.